Workforce Development is a volunteer driven program designed to empower, mentor and prepare Eva’s Village clients with the knowledge and tools necessary to successfully find a job. Our volunteers work one-on-one and in group sessions with clients, helping them learn how to complete an application and write a resume, reference page, cover letter, and thank you letter. Clients also receive guidance in searching for jobs online and assistance with the actual application process. 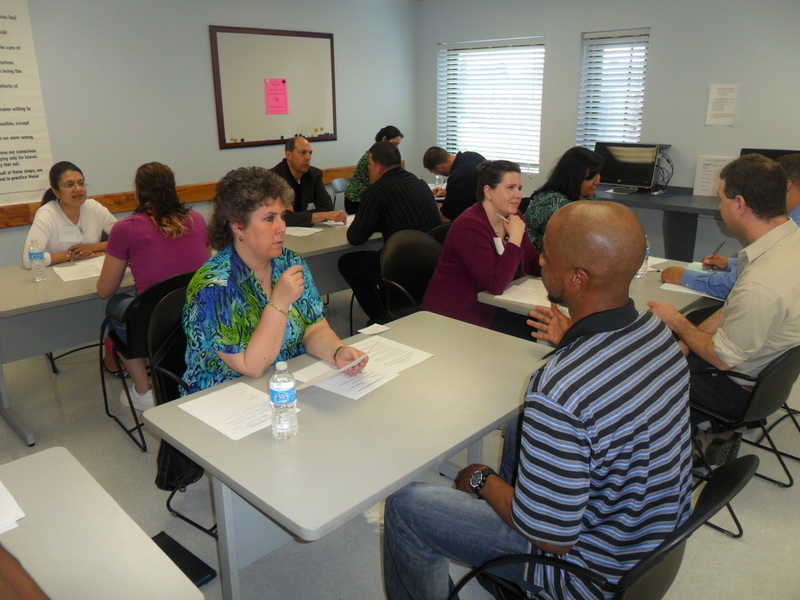 Twice a month, corporate volunteer groups conduct mock job fairs to give clients an opportunity to practice interview skills and receive constructive feedback from real employers. The Workforce Development program is tailored to the specific needs of each client, but to the goal is to have each client leave the program with a professional resume and accompanying documents, as well as the confidence to search for and secure a job. Interested in volunteering? If you would like to share your HR, career development, or business skills, please fill out the on-line form on our ﻿Volunteer page﻿.